Portugal is an amazing option for your next surf family holiday. The weather is wonderful for most of the year and prices are great compared with the rest of Europe. In addition, the Portuguese are friendly, humble and always willing to help. The Portuguese maintain their authentic culture with traditional architecture, food and family values. It is said that the Portuguese have some of the strongest family connections in the world. So why not plan your first or next Family Surf Holiday in Portugal, and embrace some of the great Portuguese family values. Typically kids younger than 7 are too small or young to take surf lessons. That said, every child is different. If you have young kids it’s a good idea to speak with the Surf School who will be conducting lessons. You want to know if they offer lessons for kids, with a dedicated instructor for kids only. If not, how many people are in their group lessons? 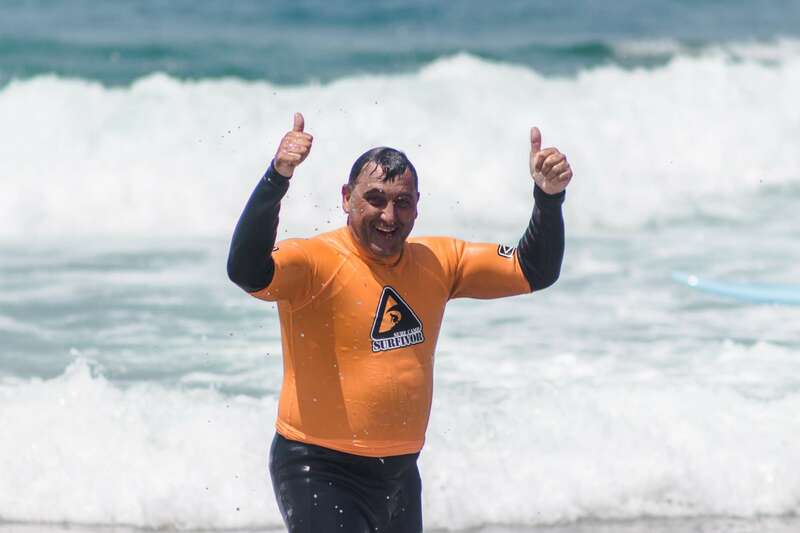 Is it possible for your family to have a dedicated surf coach? Some Surf Schools also offer discounts for kids below a certain age. Most popular surf destinations are also close to other great outdoor activities. Many Surf Camps have bicycles available for use for free. The coasts of Portugal are beautiful to walk, hike or cycle. Many Surf Holidays are organised in packages which include other activities such as yoga and tours of local cities like Porto or Lisbon. Portuguese cuisine is wonderful for seafood and meat eaters. Vegetarian options are slowly becoming more widely available. Unfortunately, many Portuguese don’t know the difference between Lactose Free and Gluten Free. But Surf Holiday organizers should be able to offer or recommend options for the vegan, lactose intolerant and celiac among us. If a member of your family has a specific or restricted diet, be sure to let the Surf Holiday operator know in advance. Surf Holidays offer a great package holiday for the family and can come in well below the cost of other package holidays, such as Ski Holidays. Surf Camps and Surf Hostels will be accustomed to providing various accommodation options. For example, for a family of four there may be options for all to share one room, or for 2 private Double Rooms, or private apartments. There may also be options for those who want to surf until they drop, and those who want to skip the surfing altogether (or just try one or two lessons). 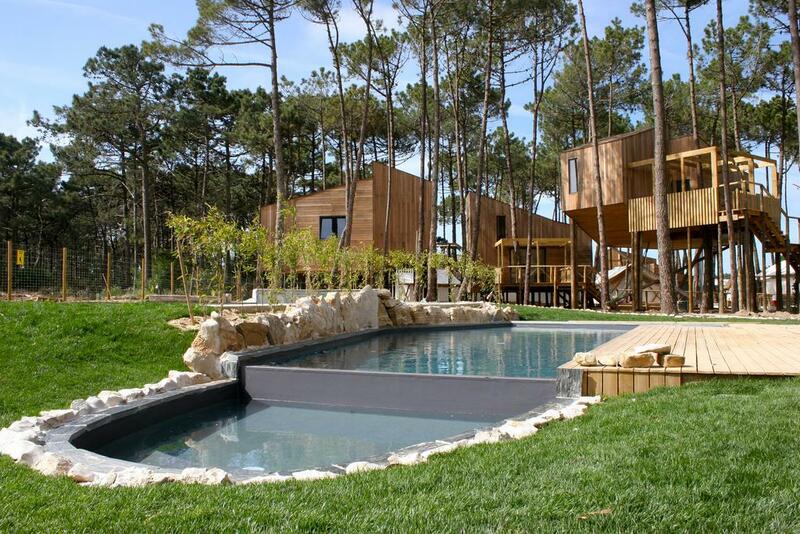 Surfivor Surf Camp in Esmoriz is the oldest Surf Camp in Northern Portugal, operating since 2004. The prime location on the beach makes this an excellent option for families. And in 2019 Surfivor is opening its new location with oceanfront access to the beach and views of the waves. Esmoriz is laid back and has excellent access to outdoor activities as well as waves. When the conditions are good you are able to walk just minutes to the best surf spots. From the Surf House there is also excellent access for beach activities like volleyball, sunbathing and beach beers or BBQs at sunset. In terms of surfing, Surfivor offers both beginner and intermediate surf coaching. 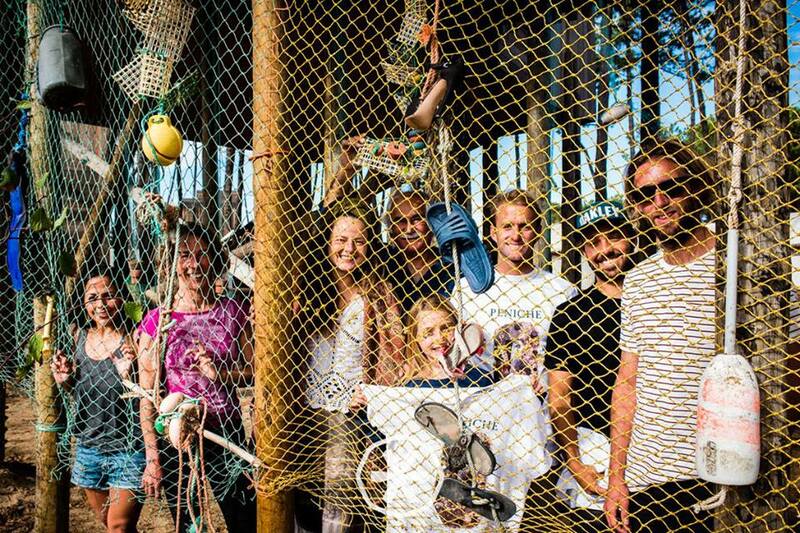 All surfers take part in one surf theory lesson and one paddle & pop up workshop, in addition to daily surf lessons. The exposed beach offers a variety of waves for all surf levels. During the summer Surfivor also offers 3 yoga lessons per week included with their surf camp package. A photographer is on the beach in summer months to capture your families epic waves (and wipeouts). Surfivor Surf Camp Esmoriz offers Yoga lessons 3 times a week during the High Season, June – September. This is included with the weekly Surf Camp Package. Yoga lessons are taught by local professionals who’ve been teaching Yoga and Pilates for years. There are also bicycles and skateboards available for free. In terms of food, Esmoriz has a variety of great restaurants and a few minimarkets in case you prefer to cook at camp. 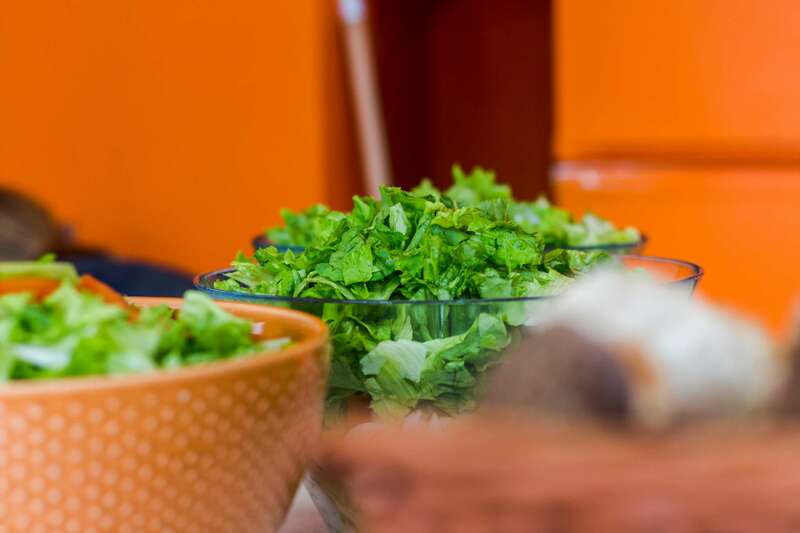 The team can offer advice for those with any specific diets or food intolerances. Every week there is a Welcome BBQ for all staff and guests which is also included in your Surf Camp Package. Esmoriz is primarily a summer town, when it absolutely comes alive. Don’t expect crowds of foreign tourists! The summer crowd is primarily Portuguese and many locals only speak Portuguese. As such, the town maintains an authentic Portuguese vibe, even at the height of the busy season. Surfivors traditional background means that all visitors often feel like part of the Surfivor Family after just one visit. And this is the main reason that many Surfivor guests return year after year. Surfivor guests age range is large and very family friendly. I have never surfed before, so I though, “Why not go to Portugal to learn!” I found Surfivor and upon researching it, felt it was a good choice for a beginner level surfer such as myself. Upon arriving, the place was 10 steps from the beach and 100 yards from the water. An incredible location. The staff is all extremely welcoming, beyond anything I’ve ever experienced at any other camp. The office staff were always there and willing to help out with any questions or anything that came up. The surf instructors were hilarious, amazing and helped each camper individually. By the end of the week, I was surfing, actually standing up and surfing! I never had a moment during my time there where I though, man, this isn’t fun. In addition to the hours of surfing each day that you get to do, the instructors take the campers out on the town 2 different nights a week. It’s so great to get to experience the place with a local. And they have a BBQ every Monday night. The food is incredible and it’s a great time to get to know your fellow campers for the week. I cannot say enough good stuff about this experience and camp and I will be going back again! I made some amazing friends and met some incredible people! Bukubaki Eco Surf Resort combines the best of surf experience with an ecological glamping accommodation in treehouses. And isn’t it every kids dream to sleep in a treehouse?! And every grown ups dream to do so with the added comfort of a kitchen and private bathroom. Bukubaki is a great option for the holidays of active families who are looking for exciting experiences, mindfulness and relaxation, as well as for those who want deeper connection with themselves, nature, ocean, and life. The main goal behind Bukubaki is to unite the passion for action lifestyle of surfing, skateboarding, mountain biking and hiking, with the needs for peace and tranquility. There is yoga, meditation, relaxation and massage therapies and an overall environmental awareness and return to nature. There is also a salt water swimming pool heated by solar panels and a skate bowl with skate rental. Their Wellness Center offers traditional Finnish sauna, massage rooms with a varied selection of massages, Yoga, Pilates and Reiki. 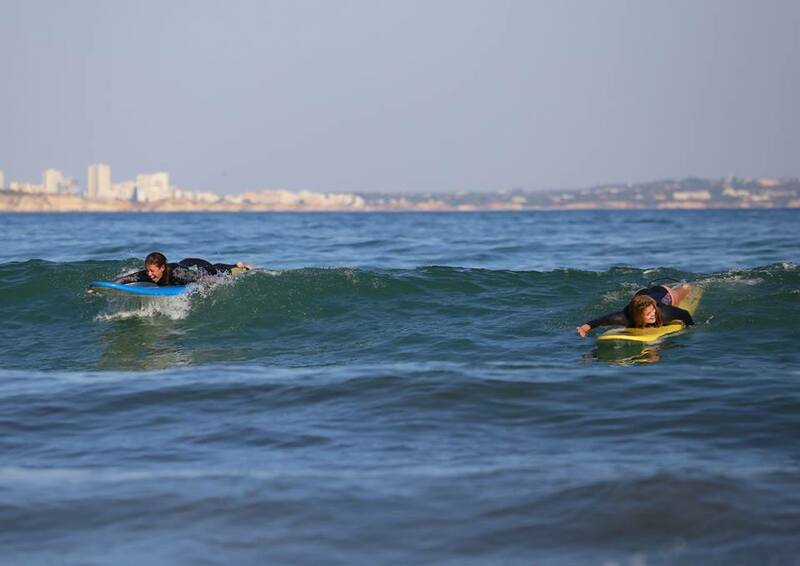 In terms of surf lessons, your family can book group lessons, individual lessons or surf guiding. The beautiful stilt houses sit huddled like nests among the pine and eucalyptus trees. Bukubaki has 3 private house options with 4 or 6 person capacity. The onsite restaurant combines the best of the tastes of the sea and the organic agriculture produced by local farmers. The chef, prepares the best of the Italian tradition with our products of excellence, in a mixture of Mediterranean flavors, tempered with the particularities of regional cuisine. La Carte dishes and Menus of the day are available daily for guests and visitors. ​I stayed here with my daughter for 5 nights. My only complaint is we had to leave. The resort is relaxed, thoughtfully designed, and a has a relaxed atmosphere. The staff are fabulous and go out of their way to be friendly and accommodating. We did wave tours with Ricardo and Sabine whose instruction was top-notch. We learned a ton from both instructors. We also enjoyed evening yoga classes and ate dinner every night at the resort. We never needed to go anywhere else. We found the food fresh and delicious and like the resort itself without pretension. The resort employs many local people and they and other locals also enjoy the resorts restaurant and skate park. This was a real positive and helps create a nice atmosphere where locals and travelers are happily enjoying the beautiful place. We stayed in a treehouse that was super comfortable and fun. The desk staff was very helpful. Prices were very reasonable compared to some of the other eco/surf lodges. At the lodge and surrounding area I never worried about my teenage daughters safety. Other family’s had kids there happily running around. We had a great week and hope to return! The Surf Experience are a large Surf Hostel and Surf Camp in Lagos, about 45 – 60mins by car from Faro. At The Surf Experience there are various accommodation options to suit different styles. The Boutique is a brand new option of 4 person private apartments with spectacular views of the ocean and marina. It offers a fully equipped modern apartment, perfect for families and private groups. Located just around the corner from the Surf House, offering access to all the fun but with options for privacy. There is also a Self Catering option with centrally located 2 bedroom apartments and a shared internal terrace. The apartments are close to small square with cafes, bakery , small mini market and also 10/15 min walk til your feet hits the sand. Parking is only a 5 minute walk away and there is easy access drive-bys to pick up equipment or people. If you want to take a day off from surfing there are mountain bikes and a couple of SUPs for you to use at no extra cost. Diving, Horseriding, Kayaking, Dolphin watching can all be arranged from one day to the next. The Surf Experience also runs Yoga weeks for healing, classic and private retreats. The everyday lunches and surfhouse dinners twice a week are amazing. Nutritionist Rachel Snow has been working for The Surf Experience for the last 3 years, where she provides the guests with nutritiously balanced food to aid their continual surfing progress. Rachel has a great appreciation for the physical and mental aptitude required when learning to surf, and provided a nutritionally balanced array of meals for guests. Rachel and The Surf Experience are happy to cater for specialist diets upon request. There are definately stars missing ! always waves (!) and a stunning beautiful surfcamp. What can you ask for more ? I`ll be back …and Floyd (9 years old) loved it so much he was almost crying on the flight back !